There wasn't any song with the link?? I just tested it, and it seems to be working now. However... If anyone else is having a problem, please let me know and I will do what I can to fix it. This commentary set the thoughts a'comin! Living on LI and with a progressive radio station that you could count on at least Grateful Dead offering per day, it surprised many that I didn't like them. Finally, after much airplay and as I listened at work I didn't have time to move the dial many times, I found a few songs I liked. I didn't "get it" as the devotion of their fans and on LI - they were legion. I've met folks who went on "tour" with them - quit jobs, loved ones - so far went the adoration. Yet, after all this talk and other blatheings, you have hit the core issue - vocals! No wonder they jammed for what seemed forever. And in the end, where do they figure now - asking if the for example, The Beatles may go on as Pop group rather than a significant factor. Will the Dead be remembered for generations to come? And then, we can ponder, what was it all about anyways with this band? I sense one conclusion might be that of an event. Brim over I to but I think the list inform should have more info then it has. Happy first blogiversary! And a great blog it is! 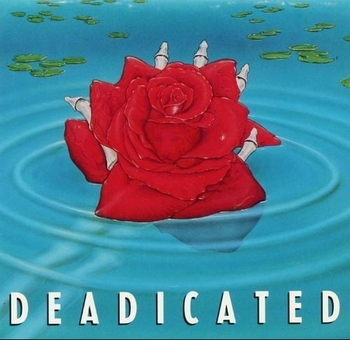 This is a very nice Dead cover. It has just the right spirit. (Pun intended.) Was just listening last evening to the new live anthology of Tom Petty and the Heartbreakers, and they had an excellent cover of Friend of the Devil. I will not concur on it. I assume nice post. Specially the title attracted me to read the intact story.